Madigan made…. 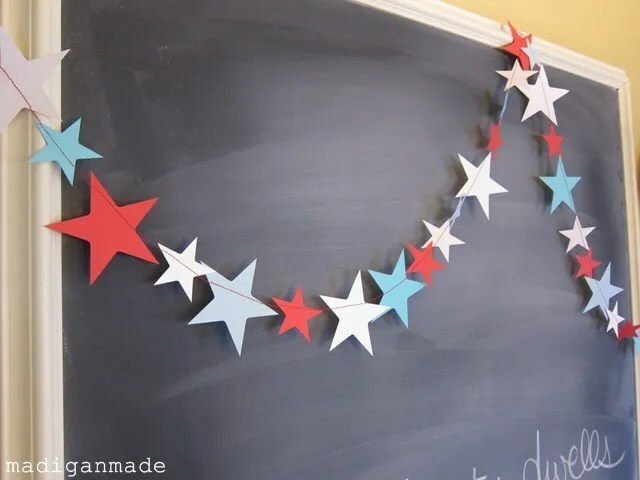 a sewn star garland and a patriotic quote. Well, it is a few days late, but happy June!! Time for a new monthly chalkboard quote! Since the Fourth of July is coming up, I wanted a little patriotic spirit in the kitchen. I needed something simple to add to the chalkboard and I did not want to buy anything new. And as I mentioned last week, I’m loving red, white and aqua (instead of the traditional red, white and blue). 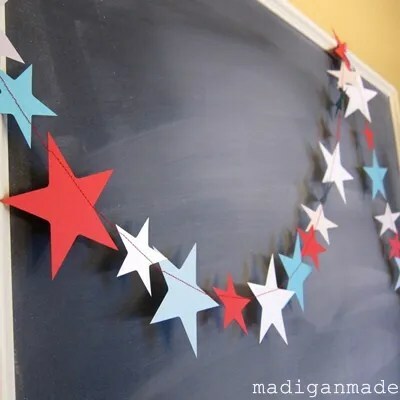 So, after seeing this star garland above on Pinterest, I decided to cut out some red, white and turquoise paper stars with my crafty cutter and just sew them together to create a simple garland. Aside from alternating the colors, I just fed them into the sewing machine randomly. Our usual red place mats work perfectly. To add a little aqua blue to the table, I took an old dollar store tray I had in the basement and spray painted it blue. 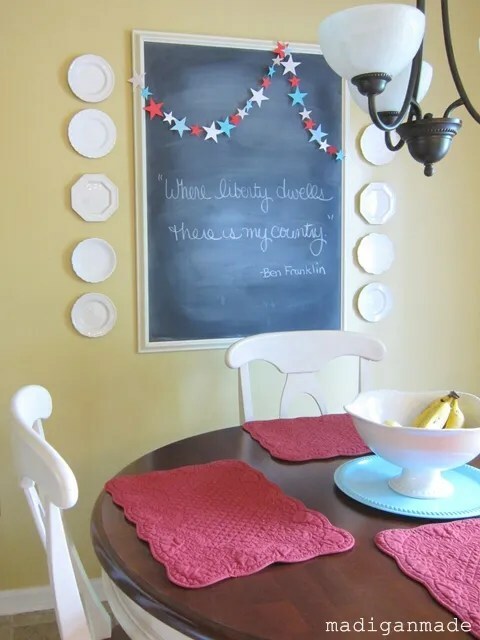 This display is far from elaborate, but it adds just enough patriotic spirit to the table. 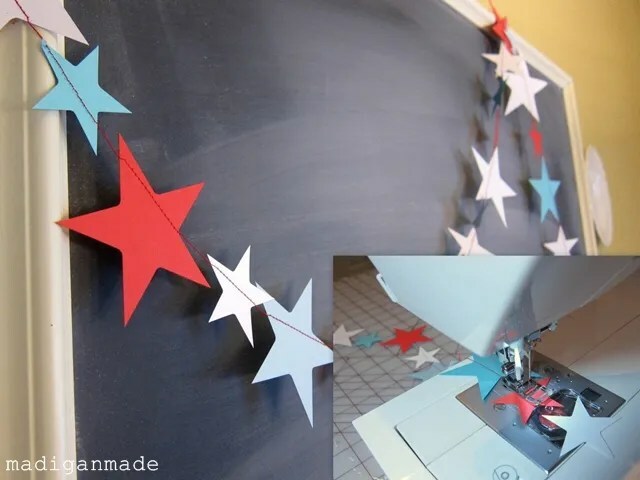 And wait till you see the kitchen cart and frame-in-a-frame… Can you guess which color of the patriotic printables I used?? I’ll show you later this week!